UNDER CONTRACT PRIOR TO MLS. 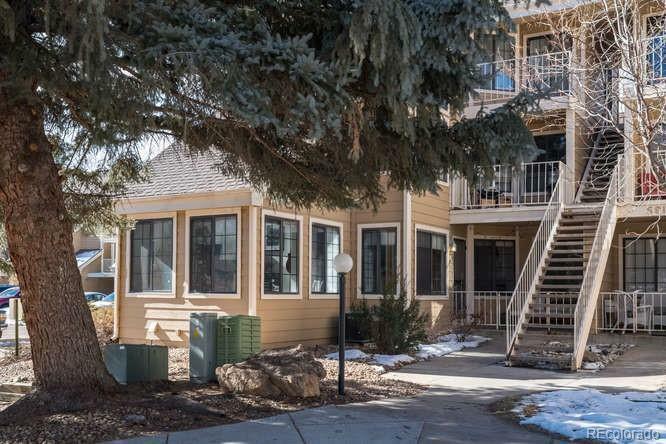 Maintenance free living in desirable Powderhorn! This bright and open 1st floor, end-unit condo features 2 bedrooms, 1 bath plus a 1 car garage. Cozy up in front of the gorgeous floor to ceiling stacked stone fireplace on a cold winter night. 1 car garage includes custom built loft area for extra storage. Updated bathroom and newer floors throughout.